appearance & aroma Deep green with a warm, peppery aroma. 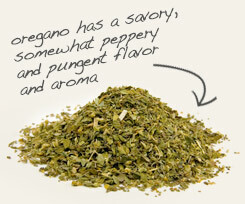 Partner with oregano in sauces, soups and stews. 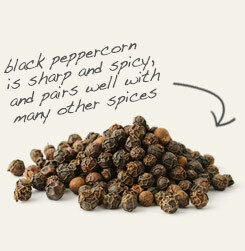 Use with black pepper to bring out the flavor of cheese dishes. Sweet and slightly peppery. Goes well with rosemary, parsley, thyme and oregano. Marjoram, also called sweet marjoram, is a low-growing perennial herb that is native to the Mediterranean region. 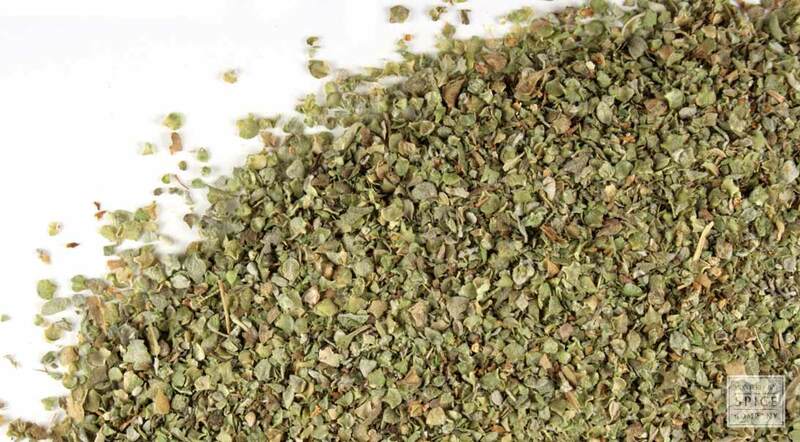 As its botanical name suggests, it is closely related to the "pizza herb" otherwise known as oregano. Like many of its Mediterranean cousins, marjoram is a member of the mint family. This versatile herb is commonly grown as a perennial or annual in kitchen herb gardens around the world. In cooking, marjoram lends a warm, peppery flavor to cheese, eggs, potatoes, dips, sauces, soups and stews.